What is the male/female ratio? The answer to this question is usually 5% max female. Sometimes people then look at me expectantly for me to explain what I am going to do about this, and I usually look a little bit scared. To be honest, finding developers of any age or gender, willing, talented and happy to either volunteer their time or give up a weekend (even if it is paid) to help government or organisations as they emerge blinking into the open digital world, is challenging enough. But to answer the girl question – so far I have been at a loss really, and sometimes irritated by the question. Why is no one ever happy? But yet… it is an important question; and pertinent to me, as the mother of two daughters, one of whom is crying out to code, counts down the days to come to work with me on a hack day – and often fills in the memory gaps where I have missed vital sections of presentations. Kidding, I don’t really know the answer, but Courtney Williams (a mentor from the National Museum of Computing, Bletchley Park, at Young Rewired State (YRS) this year) and Wendy Grossman (a freelance writer who followed and diarised YRS this year) have volunteered to look at some of the data we have and do some clever brainy things. This research will kick off in September 2011 and I will keep you all posted. In the mean time, here’s my personal opinion based on a few years of working with developers of all ages, children of all ages and being a Mum of an aspiring girl-geek (9) (and a teenage daughter who has no interest whatsoever – she can be the ‘control’). coding and digital prowess is still niche at a young age, self-taught by the studious. Often considered a bit nerdy in senior school, where it is not (nor ever has been) taught as a part of the curriculum; therefore those who code have taught themselves. Teaching yourself something that should really be covered as a part of lessons, is a bit like doing extra homework – *why* (ask many teens) on earth would anyone do that? This is why I reckon YRS gets a higher female sign-up but greater drop-out rate just before the event. They sign up because they want to, they drop out because they cannot face the potential embarrassment <- if only they knew how heralded they would be by the achingly cool. But even the achingly cool kudos doesn’t win against the female peer group pressure. Well, I hate to limit this to just the girl geek question, but perhaps in solving the problem of a dearth of female coders we can make a big dent in the broader problem of the lack of teaching any coding languages in the National Curriculum – anywhere. Start teaching coding as a part of the curriculum in Year 5. At this point the maths is strong enough in most kids. The IT curriculum has fostered a familiarity with computing and computers and the young minds are ready to start learning programming languages. Indeed they are creative, excited and have not yet developed any association, good or bad, with certain subjects. I don’t suggest replacing the teaching of IT, that really helps kids get to grips with spreadsheets and word processing skills (yeah OK, Microsoft products, but hey). This is a new subject, an emergent but critical one – as critical as the traditional STEM subjects with which we are all so familiar. If it can be introduced as a part of the central curriculum in Year 5, I bet you my last penny that by the time those kids are drawn up through the education system, you would find far less of a disparity between the sexes – and maybe even an increased number of talented young people with an ability to manipulate open data, relate to code and challenging each other to design and build digital products that you and I have not even begun to imagine. Have a little imagine now… good innit? Make one change: teach coding in Year 5 and thereafter, make it a part of the curriculum (as relevant and necessary as the traditional STEM subjects). But I am only one person and this is not a personal campaign (yet) I want to do what I can, and I can share knowledge and experience, but it takes far more than YRS, Courtney, Wendy and myself to make a difference. And this difference would be for all young developers, not just female. « What’s the next challenge for Open Government data? Good post Emma. Let me know if I can help with this in any way. Thanks for writing this thoughtful post, Emma. I certainly haven’t been expecting you to find answers. I’ve asked the how many/what percentage/why/why not? questions because we need to ask out loud so we can get people thinking about it and how to resolve it. I am wondering – actively thinking about – whether there is anything I can do to help in any way to change things. I’ll be very interested to hear what conclusions Courtney Williams and Wendy Grossman reach. I don’t think that the reasons and the answers will be that easy. If they were, there wouldn’t be the same kind of issue here and in the US. It’s important to ask the question, Janet, believe me – it is; I was just kind of hoping it didn’t need to be asked year on year. But after this latest YRS, when we removed the lower age range limit, it became so clear to me that Year 5 is the time where genders are relatively synonymous. But regardless of age/gender, we have to solve this absence of vital education. Once that is provided, the question of female coders should be one of those consigned to history – like the female vote. great post, and having been one of the irritating questioners I want to help find the answer. 🙂 you plus a bazillion other people! so yes – good! Hi Emma, I am not sure this solution, coding in year 5, will address the problem. Things can only go into the core teaching curriculum if it helps most children. Even by year 6 the expected level is in Maths and English only level 4, and many don’t even make that – so whilst coding will be relevant to some, it won’t be to many – it will be too abstract (Piaget stage 4, abstract thought, typically develops from 11-16). I graduated in computer science in 1978 and in those days the gender split was a lot more even. I suspect (but it is ‘suspect’ not ‘know’) that the difference was that in 1975 people we thinking about computing at 18, whereas the greater familiarity we have today leads some to choose and some to dismiss coding at a much earlier age, and that is contributing to the split. Of course, and I bow to your experience. I am at pains to really be open about the fact that I base this purely on my own experience and knowledge, and I really don’t pretend to have the holy grail. All of it helps though, so I think any discussion around this topic can only be good – even if this post just annoys people enough for them to shove in their 2pth. Really interested in this. Do you have any advice as to what we could teach in Y5? Hi Lara. Sadly I an woefully unqualified to answer this question but will see if I can get someone else to!! There are simple graphics-based programming languages like SCRATCH which can be taught – they’re not too scarily maths-based (so this hopefully also touches on Ray Poynter’s point above) but can introduce children to the ideas behind coding and the general idea of problem-solving. Sorry about the plug but see Blitz Games Studios’ Resources page for more suggestions: http://www.BlitzAcademy.com (Resources tag on the right). I know nothing about teaching but I have long been involved in the struggle to get more girls – and boys, for that matter, but particularly girls! – into coding. Although come to think of it, even though I’m certain MS-LOGO was the start of my programming life, I can’t actually think how it has anything to do with programming as I know it — back then I didn’t know about conditionals, or loops, or variables; but I managed to make some cute two-player games without needing them. While a year 5 student might struggle with even a simple traditional programming language, this makes me wonder – are there other “programming, but not as we know it” avenues that would lead nicely into “real” programming later on? At The National Museum of Computing I observe this daily. Our adult visitors are very much male dominated with very few ‘lone’ female visitors. School visits are around 90% male which evidences your view that we are far too late attempting to solve the problem then (post 15). I think a lot can be done before year 8 – emphasising creativity with tech, not just consumerism. I do think part of this is accepting that there are strong cultural/biological influences and differences and therefore presenting the body of knowledge (ie coding etc) differently – and I dont mean that in a patronising way. Too often coding is presented in a male ‘package’ – lets take time to see this as young girl does and try to switch off our own experience and show coding etc in new ways that are meaningful and appealing to both girls (and some boys). I was struck for example at how much social interaction occured with YRS, far from the perception that geeky means ‘alone’ in your bedroom at a keyboard. The problem isnt the girl or the body of knowledge, but the way it is presented, perceived and valued. How can we make it ‘cool’ , mainstream and ‘wanted’? Whatever the solutions, dont think just inside school. Many of the perceptions of tech formed by young people are based in experiences of life outside school. This is strongly a cultural issue and school forms a part but not all of that mindset. I also thinjk that we should associate ‘coding’ with solving problems much more. For many (boys included) ‘coding’ means computers, means techy, means isolation, means being geeky and so is negative. Coding is the language of problem solving and maybe some girls need to come at this from the need to solve problems first – using coding just as a tool, a means to an end. We must not forget that this ‘problem’ has been around for a long time. The 80s, 90s etc were littered with research and initiatives and we would be silly to ignore both current and past evidence of what worked and what didn’t. Maybe there is a new opportunity coming though, as women appear to me to be accessing and using tech (as consumers) more than ever. At The National Museum of Computing we are are keen to build a response to this problem in the ways we develop access to the collection. Women have been there in our computing history as creators and consumers and we must shine a strong and clear light on that contribution and use it for all its worth to inspire a new generation of women in tech. If we dont, we will waste huge amounts of talent and deny young females a choice to enter exciting and rewarding careers. My view is subjective and based on past experience and observation of current activity. Recognising the huge amount of work by many current initiatives and activities across the UK is essential and I apologise if as an ‘old’ male my perspectives have failed to recognise their work. … and one last appeal for the boys. Many boys are turned off tech and coding for reasons similar to girls. We must not generalise too much here. Better practice appealing to girls will work with many boys also! Despite being old, white, male, middle class etc – I would like to contribute where I can. Is another problem that, as mums, we can’t help our daughters? For most subjects, I can pass down some skills, or know where to look for them, to grow the interest of a child in year 5. But when it comes down to coding etc I wouldn’t know where to start nowadays – and I’m someone who loved Algol/fortran/basic etc back in the day. Do you have any advice as to where we can start? I can really recommend Scratch – download it for free from scartch.mit.edu and start playing with it. If you have done basic you’ll be fine with scratch. In fact you don’t really need any experience at all I think. My 9yr old son has got into it just because he wants to invent his own games. I’m trying to work out how to get my 11 yr old daughter into it and think I might try to get her to make an animation sort of story game. But I think with some girls it helps if it is something that can be done in a team or two or three and that’s often hard to arrange. Fantastic post, Emma, and I strongly agree with your ideas. On a slightly tangential note – I’d really like to get involved with YRS, but my tech skills are nowhere near those of most of the devs involved (due, mostly, to the problem you’ve identified in this post). Is there space for people who can do stuff with data a bit and understand the internet but don’t have perhaps the deeper skills of other mentors? If so, I wonder whether stating that explicitly that might help more women like me – who struggle with being “good enough” to join in – to get involved and provide more examples of women in the field. Bloody good point. And yes absolutely there is a very valid space for non tech mentoring during the week. And mutual learning can occur. I will write something to make this clear. This x10,000. I want to help, I’d give the time willingly, but I have no idea how I could do that. I can’t code but I am a geek (about many things, not just tech stuff). I’m one of the weird random female visitors whose visited Bletchley willingly rather than be dragged there. 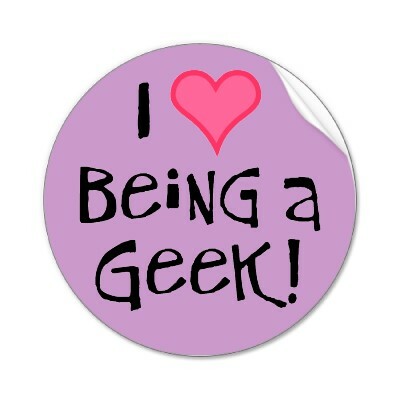 I think being a geek is about the best thing in the entire world but is that worth communicating? I don’t know. Hey @loulouk thanks for the vol and yes, me too on Bletchley love. Seriously. I will keep you posted. I have the beginning of a plan. A cunning one. But it needs advisory people and geeky help. But I think it is an a give start. Brb w the detail. At the moment (from what I’ve seen observing how my son is taught), ICT at primary level is very much a ‘Here are the things you need to do to fit in with how the computer works’… I believe we should be teaching from the outset ‘here are the things the computer can do to fit in with your needs and imagination’. Projecting my own biases on this. When we finally were taught rudimentary coding at school, it was to control the LOGO Turtle. It was so far removed from anything cool that we were all left more than a little underwhelmed. What I’m getting at is that your problem is that girls don’t think that programming is cool or useful. Find a niche that girls think is useful – retrieving the latest Justin Bieber photos from Flickr, say – then marry it with what’s cool – mobile phones. Now, I’m probably being horribly sexist in my assumption of what girls want – but I hope my examples give an indication of the path I think you should follow. Abstract stuff is boring and uncool, but tie it into something they’re interested in, whether that’s make-up or saving the environment, and you seem to get much more interest. I agree about girls wanting to something with a useful result. And I like the idea of starting with mobile apps that they can use and share – It sounds like a great idea – but where to start with Android? Any tips/links? Mary Hamilton’s comment reminds me that what I didn’t say is that I’ve hesitated to offer to be a YRS mentor because I don’t think my skills are technical enough. I’ve spent most of the last 10 years managing projects or chunks of projects creating new databases & accessible Web resources for public (about heritage) – but I don’t think I know enough technical stuff to be a useful volunteer. Chris Monk – one of the things floating around in my mind is that we could do something in/with museums/galleries data tthat might be able to put across a different image of people who do coding. I think people with skills that help young people identify, describe and plan a solution to a problem is more important than coding skills. Coding is the tool you use to build a solution but before you hack you need some thought around the problem – and adult experience can be very useful in helping young people ‘focus’, visualise and attack seemingly impossible problems – provided you let them retain ownership of their learning experience. Its called ‘teaching’ ;-)) and all adults can be teachers. You are not gatekeepers of knowledge but can walk with a young person and learn with them. So non coders as mentors – absolutely ! Recently been teaching primary school kids Scratch in after school clubs also working on project with @richardsmedley Teach Your Kids To Code. http://teachyourkidstocode.org . Working on computer concepts for toddlers. Anyway, replying to this post on a bumpy bus ride on phone so will take a longer look later! Hi Emma, lovely post as ever and really spot on. My small thought on this actually links to my experience of managing coders in the workplace – I think you need to treat them not so much as scientists but as creatives – building code is a creative act and I think if we communicated it as such then i think we widen the appeal. I agree with Terence who said that girls are far more interested in the purpose of code not just its execution. Our development team has a 2/3 gender split in favour of the guys – with one post out to recruit that I would love to be another woman – if you find anyone in Brighton who needs mentoring we would be very happy – collectively – to help. “treat them as creatives” – yes, yes! Yes! I have long loathed the distinction between ‘creatives’ and ‘developers’. I was reminded of Logo and “turtles” too. At such an early age I think it’s important to keep things BIG, practical and fun: making your computer “code” achieve something visual and obvious. “Forward 10”, “Right 90”, etc is VERY simple, helps teach some basic maths (rather than depending on maths knowledge) and, with a turtle or robot of some sort, has a real-world effect that’s easily seen. Fascinating discussion. I don’t know so much but am interested in all the responses. I think Terrence may have hit on a solution but he’s also highlighted an inevitable problem. Most people who know about coding don’t know much about teenage girls, and if you try to focus on what you think they think is ‘cool’ you will probably be at least nine months out of date. It’s important to remember that with girls as with all humans, one size definitely doesn’t fit all. I must admit I started with the Dr Logo drawing program aged 9 (in 1984!) and I simultaneously adored it and loathed its lack of flexibility. You could make a much better tool nowadays which allowed much greater levels of flexibility and creativity to appeal to artistic children (of which there are many), and doubtless make other tools focusing on childrens’ and teens’ other interests. For primary programming I support all the posts recommending Scratch which is brilliant and free and regarded as cool by both girls and boys from what I’ve seen. Logo can be underwhelming if not well taught I agree, but all children seem to love controlling floor turtles (Roamer, Beebot) so that’s a good way to start and it helps to make sense then when you’re staring at an onscreen turtle wondering what to do. Imagine by Logotron is a fantastic tool based on Logo language for more sophisticated projects http://www.r-e-m.co.uk/logo/?comp=imagine. Flash is used in some primary schools http://www.amblesideprimary.com/ambleweb/numeracy.htm. and I have used it myself with year 5/6 but it’s a big challenge to learn it well enough to teach it. It goes down well in secondary though. Finally do look at 2Simple 2DIY, particularly the Platform game maker activity http://www.2simple.com/2diy/ Hugely recommended! Great blog post keep up the good work ! Some more anecdotal thoughts for the mix – I did the not-cool teenager -> Comp Sci degree route in the late 80s, and about 5% of my degree course was female. Pretty tragic that 5% of your Comp Sci course was female in the 80s, and when I graduated in 2003 the percentage was exactly the same. % changed more significantly in engineering courses over that time period – I wonder if there’s more to learn from women in science and engineering? Interestingly, IME even when girls do choose to study programming, it doesn’t seem to ‘stick’ for some reason. Only two of us in my year did Computing A level, and I was the only one who went on to study it at university. Then at uni there were 5 female computer scientists in my year, and to my knowledge I’m the only one who writes code for a living. I know the science here is dubious with such small sample sizes – this could be exactly the same ratio as for boys. But if true, is this still something that stems from year 5, or is this about attitudes to ‘geeky’ subjects throughout school and university? Hello, Matthew / Pixelh8 here I agree teach them while they are young. Firstly apologies I haven’t been able to read all the above responses so sorry if some of you have covered this already. Year 5 = 9-10 age Computational thinking, logic, cause and effect (try Scratch, Google app inventor or Lego Mindstorms all visual based programming) or even Game Maker. Year 7 = 11-12 age try XNA, iPhone & Android dev the program doesn’t have to be complex or world changing you just have to show them a way in. Also they love being able to use and create on up to date tech. Year 8 = 12-13 age some of the best iPhone developers are 13 years old. Programming is something you should learn in school, not something that magically happens over the summer before A levels start. As is the case with most degree students I teach. YOU MUST PUT IT IN CONTEXT!!! I usually use video games, it is dead easy to recreate classic video games and or dissect them, if they can see what is going on in a game from computational standpoint they often feel empowered to have a go. I taught a programming course to 11-12-year-olds and I only needed to teach half of it, because they started tinkering and researching themselves, they just need an “in”. The outcome does not need to be serious, you can teach a computer to say random nonsense words and achieve very “serious” learning with it. I have taught computer programming in “special workshops” in schools for around five years, they can learn it young and regardless of gender. They just have to have a reason, they need to have a problem that they can solve using the computer. I am always keen to help or even to make tutorials for teachers. @ pixelh8: Tutorials for teachers is an excellent idea. If you’re willing to share your methods, I think it would be a great help. I consider myself a good programmer, but I wouldn’t know where to start with teaching people. >> isolation by doing such a thing – let alone be open and proud about it? I’d suggest that, in the case of many (not all) geek boys, it’s not so much that they don’t value peer review by that age, as by the fact that they have already been overtly rejected and thus excluded from a number of social aspects of their peers, and have partially withdrawn from their peers in response to this. It’s not noble independence, but a form of semi-voluntary retreat. They disengage and withdraw to an interior world of solo activities, in the often misguided hope of achieving some sort of approval from the wider world if they master the activity (sci fi and fantasy, obsessive knowledge of some obscure domain, guitar playing, computer games, hacking, “night sweats”). This provides the right conditions to become geeky – it’s a mildly “aspergic” tendency. You can see this in the degree of dysfunction in any relationships established thru common interests of such solo pursuits – discussions are competitions and struggles to assert themselves over another rather than a celebration of finding like-minded individuals, and any chance to further splinter their field of interest is welcomed as they continue to withdraw in the hope of being a master of their singular domain. I don’t know how girls react at the same age, and I really wouldn’t want to suggest that the right way to get them into such a scene is to mimic such patterns, but there seems to be less complete withdrawal (the ‘outsider’ is typically male) and more finding of common ground (I freely admit this may be a mistaken stereotypical view from a bloke who went to an all-male school), meaning less long periods of solo study of esoteric details, which is still unfortunately a pre-requisite. It’s not that girls aren’t clever enough or attentive enough or dedicated enough to do this, but I suspect they’re not isolated enough to retreat to this and nothing else for long enough to get past the point where you first start to experience the rewards. I’d suggest looking at where girls of the same age have broken into similar gender-divided fields by solo pursuit (eg girls taking up rock guitar or similar in private) and see what the contributing factors were there. Of course anything that can be done to lay some groundwork can shorten the “incubation period” where the rewards of geek-type studies kick in, and that’ll help encourage more to get over the initial hard-slog-without-much-payback. Good post Tim. Your points on male development chime very much with my own experiences. I cannot explain how much I agree with this post. In Year 5, when I started to take an interest in geeky stuff, I was seen as a social outcast. Not that I cared at that age, or even care now, but still. It just wasn’t a thing that girls did. Now in Year 11, my IT class is the smallest GCSE group in my school – a girls-only school – at eleven pupils. I know at least ten others who would have taken it if it weren’t for the “oh, but my friends will laugh at me” aspect. In fact, the majority of the class only felt safe to take the subject as they had a few friends who were going to – otherwise the class would have probably had about five people. I just wish I had more opportunities when I was younger. When I began to take an interest in general techy stuff in Year 5, I couldn’t see a way that I could learn more than the average word processing basics that we had in our weekly IT class. Now, aged 15, I’m stuck between badly wanting to learn and being completely confused as to how to go about it. In my opinion, anything to give people the choice to get involved when they’re young is a good thing – whether they take the opportunity is up to them, but at least they have the option. I have to say that I agree wholeheartedly. I had not really thought about the benefits from a gender point of view, but I have long thought that programming should be taught from a much earlier age. When I was at school, I taught myself the basics of programming at home because I was interested. Imagine how much further I would have got if I had been taught the basics in school and could then have gone home and delved deeper. Just thought I’d mention this scheme, which was in the news earlier this year, aiming to provide cheap simple computers that kids can really fiddle with and learn from http://www.geek.com/articles/games/game-developer-david-braben-creates-a-usb-stick-pc-for-25-2011055/ . As other comments have mentioned, ICT, while having its place, approaches the subject from the wrong direction. I personally thinking this unbalanced approach can actually be damaging to the progress of computer technology. Everyone is taught to use micros**t office in ICT. This, for no particularly ‘good’ reason, establishes the MS gui as a standard, meaning that when a developer designs an application for use by those who have learnt ICT and nothing more, the developer has to stay reasonably close to what the user knows, lest his work be dismissed as difficult to use. It may be that his new gui is more intuitive and allows access to much more power, but as long as it destined to be used by those trained in ICT, it will find it difficult to gain acceptance. Hopefully, with children knowing from the beginning that the GUI is just a front and doesn’t necessarily have a lot to do with how the computer actually works, we might, in the long term, end up with a generation more open to new ideas, and, with a solid foundation in programming, more than capable of implementing them. I have to disagree here. ICT as taught in schools is a general purpose skill which is important to a wide range of jobs. Coding on the other hand is a specialist skill like carpentry or accounting. Worse still it is a skill which dates very quickly – there’s been a major development in programming about every ten years during my lifetime. So very little of what’s learnt in year six is going to be relevant when they leave university even if they are in the small minority who end up working in development. There is already far too much in the secondary school curiculm which is entirely useless to the majority after they leave school. Adding another job specific subject just makes the problem worse. I’ll agree the Microsoft GUI is not ideal and changes far too frequently but it became the standard before it was adopted by education. I can remember before there was a standard and the enormous cost of training people to use half a dozen programmes all with different user interfaces. You often couldn’t transfer data from one programme to another without retyping. As for getting more girls involved I’d suggest emphasising the design element. Not the mechanics of coding but how the application appears on screen and how it interacts with the user. The number of applications I’ve seen with a huge screens, numerous almost identical windows and tiny characters so the user is forced to peer at the screen while searching for the right window to continue with their task. I feel very passionately about this. I find it hard to believe that when I was 14 (1986) ‘computing’ classing meant learning BASIC whereas now it means learning Office. There are a number of good organisations working in this area (Apps for Good for example) but the de-emphasizing of e-Skills following the change of government is very disheartening. STEMNET do a very good job in the engineering area but really struggle to provide anything related to IT. Meanwhile, YRS is wonderful but these kids, and many like them, are still learning these skills on their own. At the risk of life imitating XKCD (http://xkcd.com/927/) it really feels like there should be a national organisation formed purely to ask why programming is not being taught in schools, really show the benefit not just to kids but also to the economy, showing what kids of this age can really do *and* listing all the people and organisations that are willing to help out. The same organisation could provide ways to help schools introduce the subject, connect kids to mentors and, most importantly, connect kids to other kids so they know that they’re not alone in their interest. I for one would seriously consider leaving my day job to work for such an organisation. Then I shall make some tutorials. I’ll be using Processing for the programming tutorials as it is free and runs on everything. I hope I still have all my notes from when I taught programming to the 11-12-year-olds as I we built a maze game step by step over 8 weeks. In the end we had “Rick Astley chasing one of the “Jedward” twins around a maze, good fun. Give me a little time for the tutorials as I have just been made unemployed 😦 and I am hoping to start my PhD in October 🙂 , fingers crossed. Here is my rant at the Games Industry in relation to kids not getting in to programming, my opinion has changed a little since then, but not that much http://www.gamepeople.co.uk/magnetic_magnetic01.htm , enjoy. Goodness, there are so many relevant and important strands here, let me add another. In my role as an ICT Subject Leader I have tried to make ICT as fun and creative as is possible inside the current National Curriculum – difficult. We have used Scratch very cool, enjoyed by most students, also Alice http://alice.org/20 even the most disinterested enjoyed this, as it is similar to “Rollercoaster tycoon and SIMS” style games. Activities week in July consisted of: Google Android App development, Kodu (Xbox 360 games development – led by a student), Animation using whatever software students wanted to use and Robotics using Lego Mindstorms. I have never seen the same levels of intensity, energy or interest as that shown by the students over the week. They were given a theme and software help where needed but it was a hands off, eye opening experience for me too. We can talk about the small and vital things we can all do to encourage our young people back, but until the National Curriculum has input from the Digital industry, takes note of what young people can do or are interested in and allow us to teach the ever changing, shiny and new subject we have a passion for, the numbers will continue to be small. The new ICT curriculum must not be written by academics without access to fabulous young people especially those at #yrs2011 for their views. Great post & some great comments. It’s really heartening to see so many other people aware of what’s missing – and passionate about doing something to change it. An interesting post Emma — I fully agree; in fact, I would say this could be applied to both boys and girls studying Computing (although girls are particularly under-represented across the STEM disciplines, especially Computing). Advocacy at national policy level e.g. the Royal Society’s call for evidence on Computing in Schools, as well as the National Curriculum Review in England. It is free to join CAS and we would be very happy to work together in the future to support YRS. I have a daughter going into yr4 and son into yr2. Son is already computer literate (if advanced Lego Universe player counts). I am at charting and data viz with daughter (using Tableau) but not coding yet (I don’t code but know many that do and who believe it to be a creative art, even when building business applications). The school project in yr3 around data collection and analysis was a start but they missed so many good opportunities to inspire. I get the sense that tools such as Tableau (and other data viz), web site builders, social media all offer inspiration and rapid pay-off for yr4 level+ but I am keenly interested in where to go from there. A good set of ideas in this thread already. My path was BASIC. I am going to take a good few weeks to come up with a plan and response to this. Luckily I am in a position to be close to both government and a National Newspaper, as well as young coders. I know that the teaching networks are out there as well as organisations like Apps for Good, and some of you very passionate people. It feels like there is a job to do, as many of you have suggested, to tie this all together a bit more and actually do something – or some things. We have one plan in the offing with the Observer, which will take a little bit of time to scope fully, as well as conversations with government. Please can you bear with me for a bit, and each of you who have put your hand up as interested in trying to do something, and given links to other networks, activities and people just stand by – I will get back to you all, and I will have a plan. I am delighted that discussions are taking place behind the lack of “Computer Science” at school. The Next-Gen report, co-authored by Ian Livingstone and Alex Hope arrived over 6 months ago, witnessed by various industry and government luminaries in a blaze of media glory. So, what has the report affected in education since then? Further, Livingstone and David Braben of Frontier and Raspberry Pi, both admit that government interest, specifically from the current Secretary Of State For Education Michael Gove is non-existent. Gove spoke eloquently about the benefits of harnessing the power of computer games to engage children with difficult subjects such as maths and science in his recent Royal Society lecture – so why hasn’t he given the recommendations his full backing? Who knows? But if the creator of Britain’s Mona Lisa of videogames (Elite) can’t push home this message it demonstrates how hard we will have to work to get government to quicken any changes. There has never been a more pressing time for events such as Games Britannia, BAFTA Young Game Designers, GameCity, Dare To Be Digital/ProtoPlay, Young Rewired State and others to grasp the nettle and inspire the next generation of creative videogame talent for Britain. Perhaps not every child is ready for programming at age 10, but my daughter and some of her classmates are doing very well with Scratch, Mindstorms, and similar. Of course, it helps a little that my organization offers classes on this stuff. I competed in YRS (and co-won best in show, with my team-mate) so I’m still in school (15). What strikes me as the main, major problem, is not coding, but learning about computers. I’ve sat through many an IT lesson, and listened to many an IT teacher go on about how someone can use Word to make a leaflet on global warming, and, quite frankly, that’s not what should be the main focus of teaching. It’s not just coding, it’s more the fact that no one knows what coding is, the supposed ‘tech literate generation’ really doesn’t understand anything about technology, about what goes into making an iPhone, or a FaceBook. They just understand how to use them. I’m an anomaly, I live, eat and breathe technology. Hell, I’m not on FaceBook purely for the sake of being the only person my age not on FaceBook. I’m not normal, I revel in being different. That’s really not normal. I read a thousand and one tech blogs every day, run testing Desktop Linux as my staple OS and livestream every technology keynote under the sun. The point is, I’ve never met anyone else who does this, even to a tiny extent. And I’ve been through lots of different schools, and met lots of different people. The only reason I’m like this is because my mother happened to get a job at a Web Development company and they installed Ubuntu on my Laptop, then I happened to start tearing my OS apart and… Here I am. The problem with the IT curriculum, with most curriculi (because it *should* be spelt like that! ), is that it’s not exciting, nor inspiring. It might be news to the schools, but I can probably guarantee them the next Zuckerburg isn’t going to be found doing GCSE IT. The next GCSE IT teacher is. We’re stuck in a vicious circle of not teaching what a computer is, or how technology evolves, or why it matters. We’re teaching the youth how to write effective spreadsheets using industry standard software. That’ll be great, it’s an essential life skill, but it ain’t IT. So yes, get 10 year olds writing games in Python. I think they’d like that. I think they’d love that, I think that’d be great for society. Then for those that are interested, get them reading ‘geeky’ articles and magazines. Get them on the edge of technology, because that’s where they’ll love to be. Get them seeing how HTML5 is going to revolutionise the web, *tell* them all this, because it’s exciting, it’s inspiring! Tell them things like ‘in the future there might be this thing called the Semantic web’ and tell them how it’s relevant to *them*. Because these are the things I get really pumped for, the things that got me into technology. ‘This is a smartphone: *cue picture of ugly Nokia phone from 2005*. Yeah, 2005, only 6 years ago. Look how far we’ve come, only the texbook doesn’t really reflect that. Well great job guys, that’s exactly what the tech industry’s all about. Oh look, on the next page there’s a funky image of an tag. Then a picture of some text heavy website with a few images. Then there’s some pictures of a fashion website, in Flash. Great stuff. I think we’ve failed our youth, really. I think we’re not teaching people properly, and we’re going to become an ‘innovation centre’ by 2025? Of course My Cameron, of course. I think this is a wonderful idea, but I think problems are deeper, and they’re everywhere. As for the gender split, that’s everywhere. That’s across the whole industry. In fact, I can’t think of a famous female working in the tech of games industry. I don’t really, honestly know why this is. But I think you still see this, to a lesser extent, everywhere, all over every industry. I hate it and I think it’s tragic, but I don’t know how to fix it. Maybe exciting and inspiring has something to do with it. Pingback: A Technical Gender Gap ? « Where are the Women? Hullo. Things have moved rapidly in the past few months. In November 2011 came the … forgot the name of the report, it’s about how we need to bring proper computer science back into the curriculum. Then in January Gove’s announcement of a shift in what is to be taught in IT lessons – away from Word & Excel and into programming. And then the Raspberry Pi caught the headlines. I am especially interested in that last one, because I work for them. I am the newly appointed Education Coordinator for Raspberry Pi. I too am looking for answers to “how do we get girls into programming?”. I’ve solicited opinions on the Computer at Schools Google Group, and I’ve got quite a few replies. I’ve begun to get the feeling that a large part of it is getting to them before they “know” that “girls can’t do computers”. Maybe we, Raspberry Pi, can be part of the answer to the problem. Suddenly, people are interested in programming. Coding is cool. And suddenly getting programming into primary schools is not seeming such a ludicrous idea. The education release of the Raspberry Pi (due out later this year) will come with Scratch on it (as well as stuff for older kids). We’ve got a couple of primary schools in Cambridge wanting to do pilot projects with us. No you can’t do this on your own. But maybe together we can. I spent 5 years feeling ashamed of my label ‘ICT Teacher’ – for various reasons and yes Miles you picked up on some of them! Just a teeny tiny point. Getting girls interested in computing – even in its mutated ridiculous form of ‘ICT’ has always been on the agenda in education. Don’t make this a big issue in your programme RIGHT NOW. It’s about getting significant and meaningful changes made to the subject. And maybe others subjects.. like English, Personal and Social Education and ooh… maybe we need some new ones to cover it all. The education system doesn’t just teach girls. And they aren’t the gender that is currently underperforming.